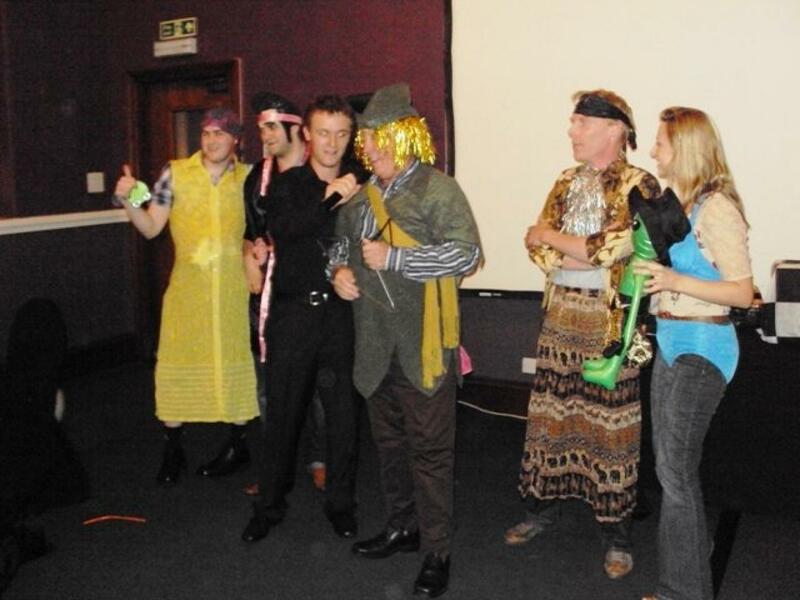 The Carmelite Hotel was filled with fun-filled laughter and entertainment as a group from Nexen enjoyed all the excitement and Evening Entertainment of a Team Challenge Company Interactive Quiz Night! 8 teams preprared to do battle across a number of fast paced and frantic quiz rounds, all in a bid to finish top of the pile and take home the much coveted Team Challenge Company trophy. And so, Team Norfolk, Team Halal, And In First Place, The Beating C's, The Great Thinkers, The No Eyed Deers, and We Googled launched into the opening rounds with enthusiasm and sheer determination. Who would walk away champions at the end of the night...? Only a few short hours stood in the way of finding out! 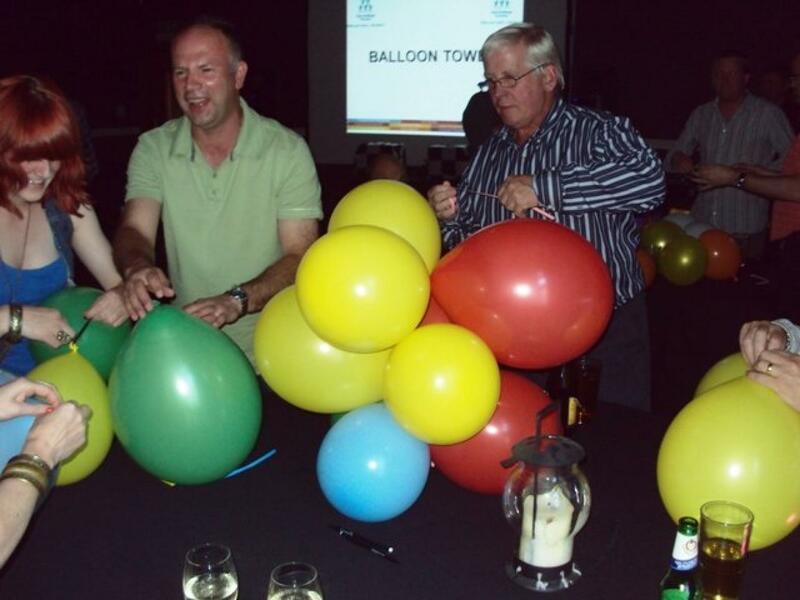 There were many hilarious highlights from the Interactive Quiz Night, many too rude to mention in this blog...mostly involving Team Norfolk and We Googled It! 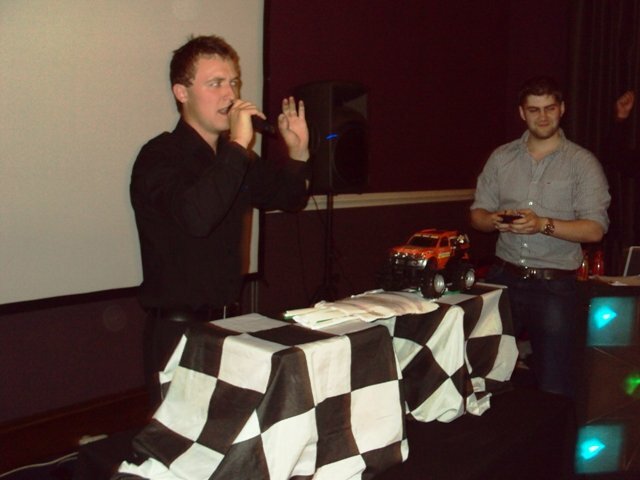 However, we have included some of our favourite moments and a little bit of the banter that surrounded the Entertainment. There was the outrageous cheating that occurred in the Jigsaw Puzzle Round, you should be so ashamed of yourselves...though it was a little funny, I guess! And of course the Mascot Round was just insane...especially for the man that had no clue at all about Nexen!!! My personal highlight of the Event was the big finale on the Bridge Build. There were many shoddy structures (perhaps none more so than the Beating C's, whose driving skills weren't up to much either! ), but there were one or two diamonds in the rough. The bridge built by the successful And In First Place was quite incredible, and could quite easily have been a replacement for the Forth Rail Bridge it was that strong...what absolute legends! With the final scores checked and verified, there was only one thing to do...announce the winners. And it was Bridge Build success that ensured the crown went to the one and only No Eyed Deers! The entire night of Evening Entertainment had been a huge triumph, and was thoroughly enjoyed by all in attendance (though there may be a certain somebody who woke up the next morning and had forgotten everything from the night before!). A big thank-you goes out to Caroline, whose effort and enthusiasm ensured that the fun Quiz Night was such a success...winning is always easier when you write the questions...! The Nexen gang were a great pleasure to work with, and we at Team Challenge Company look forward to the rematch early next year! Thank you again Team Challenge for another fantastic evening! It is always a pleasure working with your team, they do everything possible to make the evening fun, interactive and memerobale! True professionals and great at what they do! 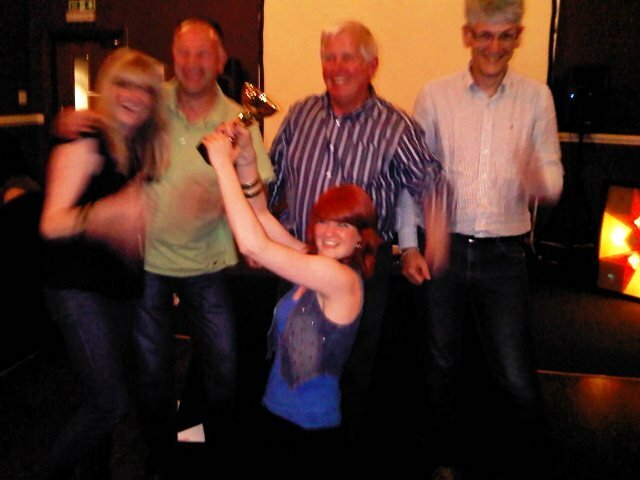 Look forward to seeing you all again in 2011 when the Nexen Quiz league kicks off again!! May the best team win! All the Best Caroline Nexen.